At Family Tree DNA’s annual conference in 2012 I presented results demonstrating that the Scottish 'Valentines' were descended from a MacGregor who had changed his surname sometime in the early 1600’s; a direct result of the Clan being outlawed by James VI of Scotland. Valentine was not the only surname to be assumed by outlawed MacGregors. In this Case Study (click here to download) I demonstrate quite clearly that at least one outlawed MacGregor assumed the Miller surname. 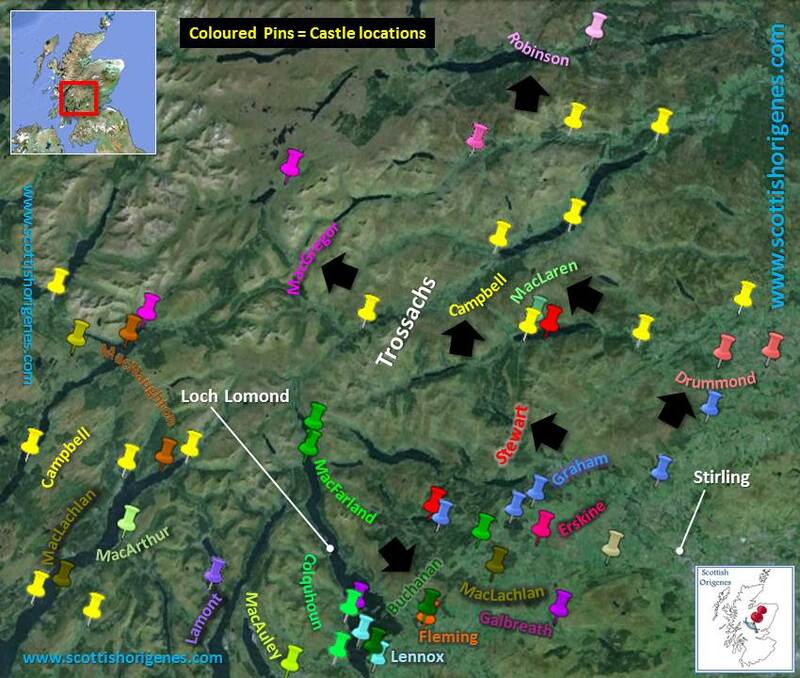 The test subject 'Mr Miller' had a number of genetically recurring surname matches from his 111 marker STR results which demonstrated a clear paternal ancestral link with the area known as the ‘Trossachs’ (pictured) in the Scottish Highlands; the traditional homeland of the MacGregor Clan. In addition, Mr Miller’s extensive SNP testing results revealed that he carries a very specific mutation associated with the MacGregors; conclusively proving his MacGregor origins. Mr Miller is also a close genetic match to the current Chief of the MacGregor Clan and one can therefore assume that his MacGregor ancestor was a close relative of the Chief in the 1600’s. 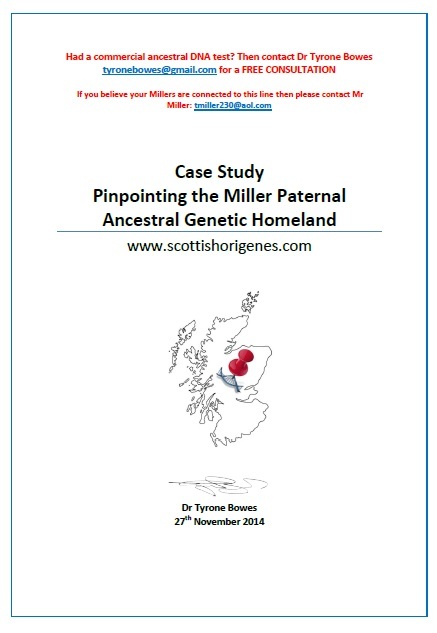 In addition the Scottish Valentines (whose Case Study features in this Genetic Genealogy 2014 You Tube presentation) appear as Mr Miller’s closest genetic relatives. If you would like a FREE CONSULTATION on you DNA results then contact Scottish Origenes by clicking here. Mr Miller’s earliest known American ancestor was an Isaac Miller the founder of Millersburg in Tennessee (1755 to 1806). If you believe your Millers are connected to this line then please contact Mr Miller: tmiller230@aol.com.